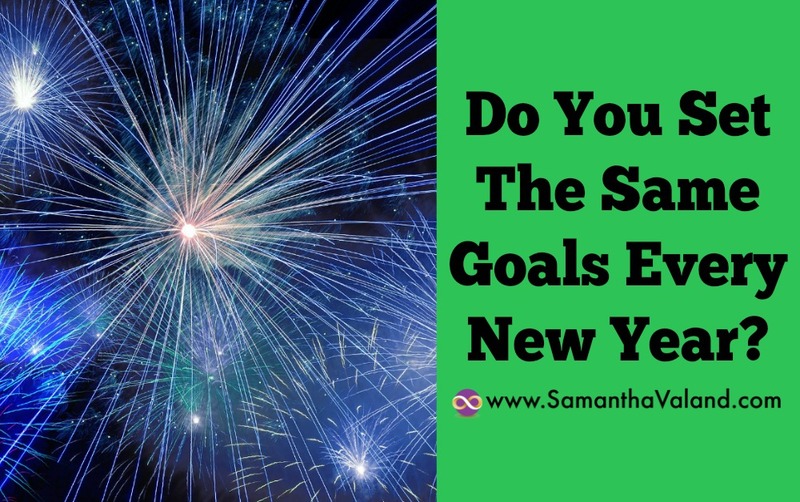 Do You Set The Same Goals Every New Year? Most of us will take last year’s wellbeing goal, dust it off and roll it out for next year. Telling ourselves that this year will be different and will be the where all our dreams come true. We have missed out one important step though – reviewing why we did not succeed last year! The successes of this coming years goals are directly related to what we learned about ourselves in last year. What did I stop doing? What did I do because I felt I should? You are one of a kind so figuring out what motivates you and also what may take you off track or stop you is worth spending some time on. I find with the women I work with have a lot goals that can be overwhelming and they haven’t sat down and worked out the time and effort it will take to achieve their goals. We are all time poor so we often have to declutter and let something go in order to make space for something new in our lives. Sometimes deferring goals until later in the year. If you are planning to attend a gym class, work out how long it takes door to door. If it’s in the evening what is your dinner going to be? Something quick and easy to prepare like a stir fry is a simpler plan than cooking something from scratch. Plan out the details to ensure you can stay on track. As we move through our 40s and into the peri-menopause, our hormones start to have an influence on our wellbeing. Changing again for the menopause where the average age is 51. Monitor your cycle and notice if you are getting an increase in PMS or menopausal symptoms. If exercising is one of your goals for next year, tracking your energy levels and your cycle can help you plan what exercise you do and when you do it. You may find the week before your period is due, your energy levels plummet and you struggle to do your ‘normal’ workout. Have a Plan B already thought through so you know when a Yoga or Pilates class is on that you can attend or perhaps going for long walks weather permitting. It doesn’t feel like you have ‘failed’ then as you were expecting it. Resting you body when it needs it is just as important as exercising! After your annual review, you may decide to change your goals and also the type of goals you set. I would encourage that and also to keep them flexible, they should be improving your life not making it more difficult! If your body is in a state of flux with hormonal changes then some health goals may be for you to stay the same. Let me explain what I mean by that. Most people are aware of the term middle aged spread, which is what can happen as you get older. So instead of having a goal of losing inches around your waist just maintaining your waistline and it doesn’t increase may be a more realistic goal at this time. You will probably have to work quite hard at this goal – it’s not the easy option! Going back to our exercise example your goal that might be to count your attendance per month rather than trying to lift heavier weights or aiming to run a particular distance. Often one or two of the questions in the annual review will jump out as ones to keep an eye on. If you have had problems sticking to goals in the past it’s worthwhile setting a date in your diary monthly or quarterly to work out if you are still on track or if you need to work out why something is not working. One of my epiphanies this year was my niggly shoulder stops me from exercising more than it should. When it niggles, I include shoulder work in my exercise routine, when it stops niggling I move onto other more complex full body moves. Stop start, stop start, stop start. So this year I will always include the shoulder exercises every time I exercise and they are a priority not to be dropped when my shoulder improves. It sounds really simple doesn’t it! I’ll let you know how I get on! I use a small notepad whenever I go to the gym and note my routine, how easy/hard it felt, time of workout, what time I ate before the gym. It’s easy to flick back and pick up any patterns. Visualising yourself not only successful in your goal but also the journey to meeting your goal. If you cannot see yourself getting up early to go to the gym then you probably won’t do it. If you see yourself popping to the gym at lunchtime then that will probably suit you better. Are the tasks you need to do to achieve your goals overwhelming or can you visualise them easily fitting into your day? Be realistic and keep in mind you will have off days. The trick is to keep going! Good luck let me know if you have revised any of last years goals and how you are getting on with them in next year!